A forms well known and used worldwide is the Shaolin 8 silk brocade. Practiced regularly the muscles will strengthen and the flexibility and strength of the tendons will improve . We learn how to increase our breath capacity and breathe deep into the diaphragm massaging our internal organs and massaging our digestive system. The training also stimulates the metabolism and activates the central nervous system. 70% of all illness is caused from stress. When we reduce stress we also allow the body and mind to self heal. These meditation methods have been handed down from teacher to student for over 5000 years . This style of Tai Chi originates from Shaolin Temple with its slow and gentle movements it can be practiced for health or used as a martial art or self defense when practiced in applications or with more speed.The emphasis is to learn good basic posture and structure along with specific breathing methods.This will bring a person into a relaxed state of mind and work well with any training regime. The fundamental practices of the Universal Healing Dao essential skills for developing inner strength,peace and abundance.The main reason this is called alchemy is to recognize that all stress was once just energy its your thought patterns that give it form.We aim to start to recognize and change these patterns in the Healing Dao practices liturgy to transform stress into vitality so you can act from a place of power.Learn to become your own teacher and healer. Training can be booked for social groups, active elderly etc. We now offer custom packages for training, basic accommodation in the Amber Healing Center, meals (breakfast & lunch) and opportunities for local sightseeing and recreation. We can facilitate tours to local sightseeing attractions or activities such as the Burren, Cliffs of Moher hill walking, surfing, Irish music and much more. 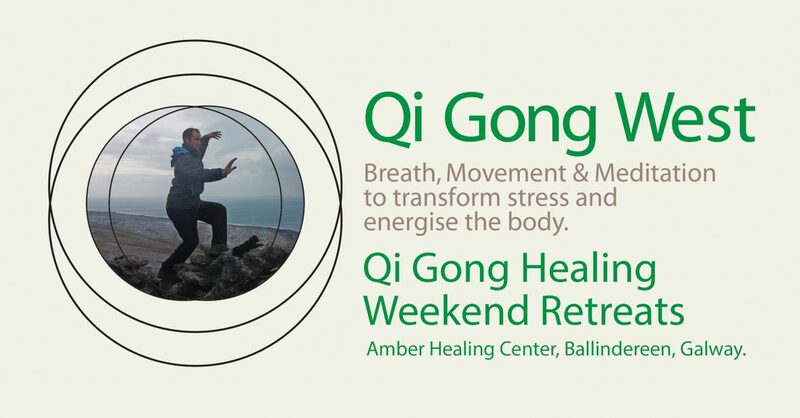 All in all a great Qi filled holiday at an affordable price! Contact Colin for more details on 086 329 8392. Teacher Training and Healer training is now available at certain intervals get in touch to find out more .